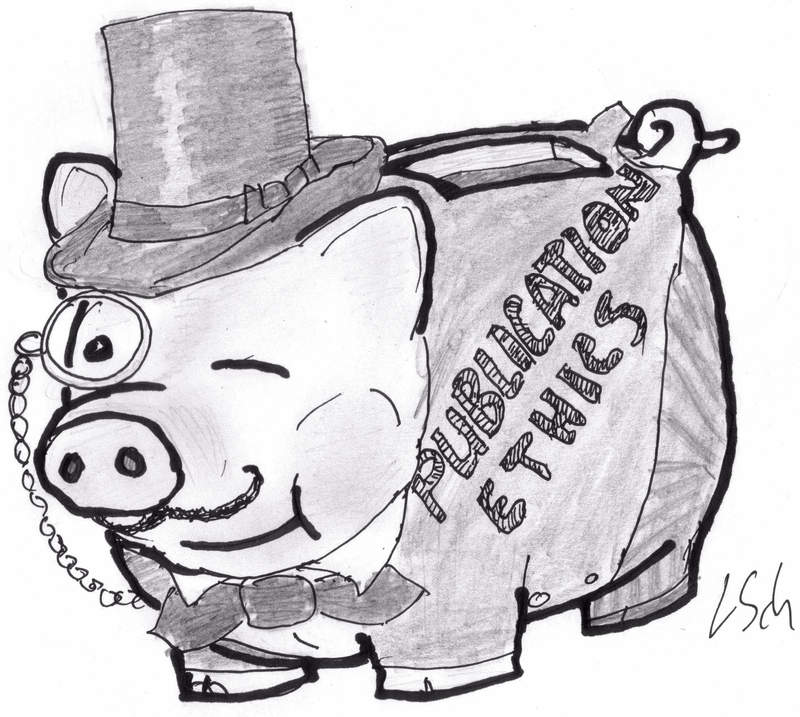 The Berlin head ophthalmologist Antonia Joussen once set her lawyer upon me, demanding up to €80000 in damages for my reporting on concerns about data integrity in her publications, which were raised on PubPeer in early 2015. Several papers were corrected and the problematic data presentation was acknowledged by Joussen, who is being currently investigated by the German research Society DFG for suspicions of research misconduct. In her lawyer’s letter from June 23rd 2016, I was instructed to submit myself to a certain letter issued by the Dean of the medical faculty of the University of Düsseldorf, which allegedly cleared Joussen of all allegations (Joussen used to hold a professorship there for several years before moving on to become head of the ophthalmology clinic at the Berlin University Hospital Charité). The problem was: I was not allowed to see that Dean’s letter. The University of Düsseldorf instead engaged a high-street lawyer firm Buse Heberer Fromm (literally high-street, of the famous Düsseldorf luxury lane Königsallee) to ward off my inquiries. At the end, though I was never given the document, I learned something interesting, and not only about the total and utter uselessness of the German Freedom of Information (FOI) laws where university are concerned. The Dean of the University Clinic Düsseldorf, Joachim Windolf, now admitted through the lawyer that he never understood the nature of the accusations raised on PubPeer against his former professor Joussen. 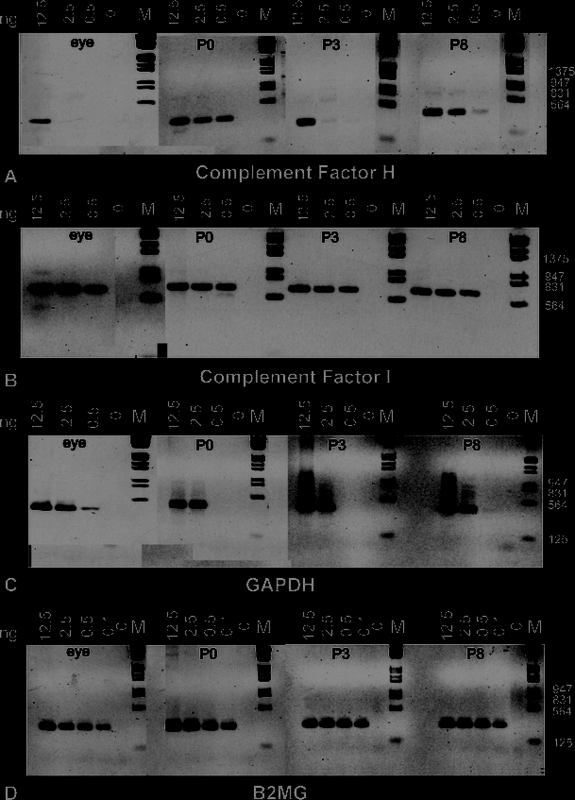 This is understandable, Windolf is a surgeon, and most PubPeer-voiced concerns are about unusual DNA gel splicing and suspected band duplication inside individual protein western blots. This lack of professional insight did not stop Windolf from issuing on June 10th 2015 a letter (which was specifically declared as “not of private nature”) where he allegedly cleared Joussen of all suspicions. “the links, if they ever open, do not allow any sufficiently concrete questions”. The Dean’s letter from June 10th 2015 absolving Joussen remained secret, because the Düsseldorf University’s well-paid lawyer declared it to be part of the research and teaching domain, without further explanation. And this section is specifically exempt from the German FOI regulations. The idea is that you should not be able to force universities to reveal exam outcomes or unpublished research data. Apparently, it is just as suitable to hide everything else which is going on behind the universities’ walls. Basically, a German university under FOI does not even have to give you the time of the day, simply because this time is being used for schedule teaching. German universities are subject to FOI laws of the federal states they are located in and owned by. The authority to complain for denied FOI inquiries is the state’s Office for Data Protection (Landesbeauftragte für Datenschutz und Informationsfreiheit), which I also did in this case. The University of Düsseldorf is owned by the state of North-Rhine-Westphalia, and its Office of Data Protection did instruct the University to explain to me why exactly the Dean’s letter was deemed a piece of academic research or teaching, but the University simply ignored this order. There were apparently absolutely no consequences to them for doing this. I also asked how much the University Clinic Düsseldorf paid to their high-street lawyer for the sole purpose of dealing with my inquiries, but was denied this information as well, because “it does not concern the administrative tasks” of this public institution. Basically, what the 100% state-owned university does with the tax-payers money is none of anyone’s business. No wonder then that the University Clinic Düsseldorf is constantly on the brink of bankruptcy. As I mentioned before, Joussen was investigated by her other former employer, the University of Cologne, located and owned by the same federal state of North-Rhine-Westphalia. Also there I never was told the outcome of the investigation, but then the Data Protection Officer conferred with the legal department of the University of Cologne and notified me that because the Cologne commission investigated Joussen’s scientific publications, the findings became part of research and teaching and therefore are not to be disclosed to me. This contradicts what the same department told the Data Protection Officer, namely that the Cologne investigation was completed and that I will never be told of its outcome because it was all part of academic research. “You are quoting a letter by the Lawyer of Prof. Joussen wrongly. A document from 9.3. is not mentioned there”. That was it. The Charité trashed an official FOI inquiry. Can they do this? Yes they can! Excerpt from Joussen’s lawyer letter, which mentions a mysterious analysis from 9.3.2015 done by an unnamed Charité employee. Berlin is not just the capital of Germany, but also a federal state, with its own Office for Data Protection. There, the willingness to actually assist my inquiry to Charité was not really well expressed. I submitted my complaint in July 2016, and nothing happened since, despite my several email reminders. Except of one letter, where I was told they do take it seriously and will follow it up with the Charité eventually. No time frame was indicated, for all we know The Berlin Data Protection officers might have meant the year 2036. I was also informed there is no overarching authority for me to complain about their performance or the lack of it. I do understand the attitude of Berlin’s Office for Data Protection though: Charité is the biggest hospital and one of the key employers in Berlin. A message to all German professors: just do whatever you like. Neither your universities nor the authorities will rat you out: everything a professor does is research and teaching. And secret. Disclosure: I studied at the University of Cologne and did my PhD at the University of Düsseldorf and its Medical Faculty 2003-2007. “You have now clarified through the Berlin Commissioner for Data Protection and Freedom of Information what your specific request was. The statement – you quoted from the lawyer’s latter wrongly, as we informed you before – was made using a PowerPoint slide. Since you seem to be interested in this, we provide the slides in the attachment, but please note that these are not part of a formal file, so there would be no claim under FOIA. We expressly do not allow you a commercial use of this information or the attachment any modification thereof”. Apparently, the Data Protection officers decided to contact the Charité after all. The file I now received (see here) just lists some of PubPeer criticisms, and addresses only one of them. I asked Schmitt if this is indeed the document from “9.3.2015” which the lawyer mentioned as evidence, if there was any further investigation aside of the compilation of that file, but I received no further communications. I suggested you before to take a lawyer. You apparently don’t have the right to get those documents, but a judge would. So you could sue them for intimidation of a journalist. Regardless whether you win (probably not substantially), then all the documents of this case probably will have to surface or at least will be properly described. That probably is not worth your time, effort and money, but the same goes for the University which may give up beforehand. But better let it go, you made your point and you probably can be assured that her employers want Joussen to refrain from any moves against you because it is utterly embarrassing for them. Thanks, I prefer to keep lawyers out of science. I’m not sure they are that helpful anyway, look at poor Tina Wenz (incidentally, also investigated by University of Cologne). I wonder what the University Clinic Düsseldorf think they gained, now we all know their Dean has no clue what a DNA or protein gel is.